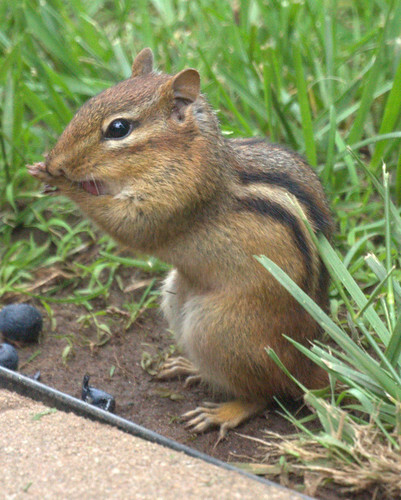 Today the lawn got mowed, so feeling bad for the disturbance to the chipmunks, Chris put out some stale blueberries near the hole. 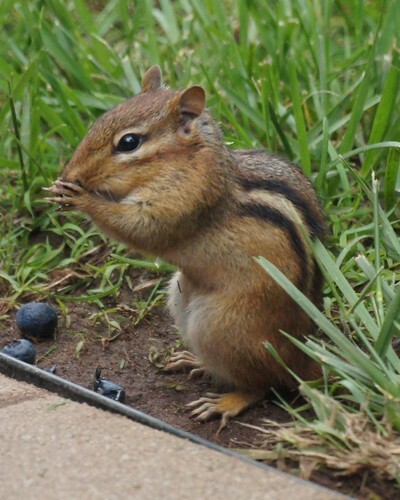 You can even see Chip's tongue in the first photo as he is either enjoying or cleaning up after the blueberry feast. 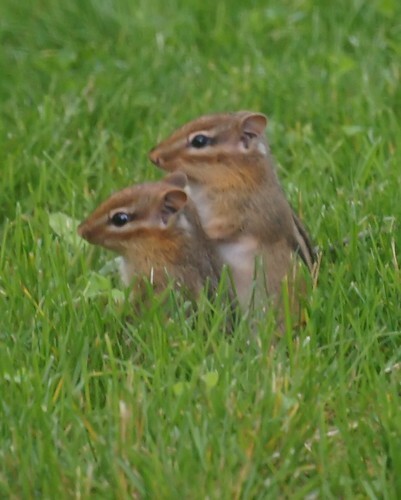 Of course, we can't tell a female from a male chipmunk or an adult from a juvenile, but we certainly know we have two or three more than last season. Aren't they just the cutest little couple in the last photo!? We like them a heck of a lot more than groundhogs! !